As you can see from the video above, multitasking is indeed in the system. I knew about this as soon as the operating system was announced back in MWC at Barcelona. There was a clue in one of the videos where the user pressed back and it actually went back to the running app. All that said, there are a few things I’m disappointed at Microsoft for. One of the main reasons I liked Windows Mobile over other mobile operating systems was the openness with regards to development and customisation. 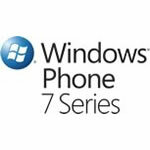 Windows Phone 7 changes all that. For one, Windows Mobile allowed you to completely modify every part of the OS. This includes the entire file system as well as the system registry. From what I can tell so far, there’s no chance of doing any of this in WP7. Of course, it’ll probably just end up like the iPhone where people will completely unlock it, but it’s just disappointing that you’ll even have to do that. Another big thing is the lack of copy and paste. I mean come on Microsoft, you mocked the iPhone for not having copy and paste. Now you’re not going to have it! Microsoft say the reason they don’t have copy and paste is because they already know what most people are going to do with the information so they just add “SmartLinks” for commonly used tasks. Well, what if I want to do something uncommon with it? What if I want to copy some text into an email, text message or tweet? What if I want to share a link with someone? I don’t think these are actually that uncommon. Why not just allow people to do what they want with information instead of dictating what they do with it? Windows Phone 7 has become a love hate relationship for me. On one hand, it’s a great improvement. On the other, it’s an iPhone. Be original Microsoft, you’re great at it.